This year the annual film noir festival Noir City: Chicago (which begins Friday at the Music Box) is going back to basics. All 18 of the selections are American, and all but two were made during the golden era of noir—that is, the dozen or so years following the end of World War II. The programming differs from the past few years, which saw the festival organizers looking for films outside the U.S. and from after the 1950s. These previous Noir City lineups argued that the genre wasn't defined by just a style or a thematic preoccupation with crime, but rather a pessimistic outlook, which can take root in any place or time. 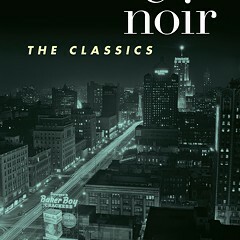 By comparison, this year's edition focuses on the specific conditions that allowed noir to thrive in the first place. The lineup also differs from previous years in its absence of classics. 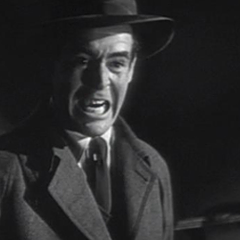 In fact few of the films at this year's Noir City have much of a popular following, and only a handful of them were directed by people with any auteurist reputation. The organizing principle seems to have been: what was a typical night at the movies like for the average American crime fiction fan in the immediate postwar years? The festival is organized into nine double features, eight of them pairing an A movie and a B movie from around the same time. The outlier is the opening night program of Devil in a Blue Dress (1995) and One False Move (1992), two modern takes on film noir directed by the underrated Carl Franklin, who will be in attendance for both films. Yet the pairing fits into the overall theme of the festival: the convention of the double feature had long vanished from American movie screens by the time Franklin started directing, but the stripped down, low-budget One False Move feels like a contemporary heir to the postwar B picture, and Devil has the slickness, style, and star power (not to mention the setting) of an A-level 40s genre film. Aside from Devil and Michael Curtiz's charming murder mystery The Unsuspected (1947), all the films in the lineup by directors of distinction are B movies. Strange Impersonation (1946) is a 68-minute curio directed by Anthony Mann just before his run of such seminal film noirs as T-Men, Raw Deal, and Reign of Terror. It tells the story of a disfigured scientist who undergoes extensive plastic surgery and restarts her life as a stranger. Mann presents the narrative with surprising integrity, eliciting serious performances from the cast and exhibiting a nuanced sense of shadow in his mise-en-scène. 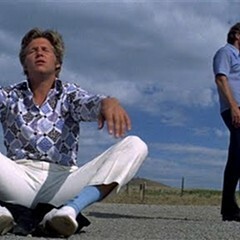 The central theme, with its existentialist underpinnings, prefigures some of Michelangelo Antonioni's films, but the pulp trappings (anonymous locations, purplish dialogue) give it a weird urgency. Mann would go on to make some of the best westerns of the 1950s (Winchester '73, The Naked Spur, The Man From Laramie, Man of the West); so would Budd Boetticher (7 Men From Now, The Tall T, Ride Lonesome), who's also represented at Noir City with Escape in the Fog (1945). I haven't seen that or Bodyguard (1948), which was directed by the versatile Richard Fleischer, whose output ranged from some of the greatest noirs (The Narrow Margin, Violent Saturday) to 20,000 Leagues Under the Sea to Mandingo. But I can write with some confidence that the Boetticher and Fleischer titles are two of the best bets of the festival. As Strange Impersonation demonstrates, the B film could provide a great vehicle for ambitious, up-and-coming directors to strut their stuff. Some would even argue that, as long as the director delivered on certain narrative expectations, the B films of the 1940s and 50s allowed for greater creative freedom than their A-movie counterparts. One nice thing about this year's festival is that the programming provokes such arguments about film history. 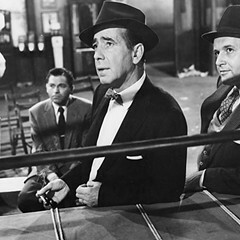 The lineup also inspires one to ask to what extent film noir was shaped by directors. If there's a definite auteur behind The Blue Dahlia (1946) or All My Sons (1948), it's not the director, but the writer. Dahlia is based on the only original screenplay by Raymond Chandler, and the movie features the plot twists, brutality, and defeatist atmosphere one finds in his novels. George Marshall's direction is generally flat and straightforward, but didn't stop the great critic Manny Farber from finding a certain dynamism in the film. His writing on The Blue Dahlia is as stylized as any of Chandler's dialogue. 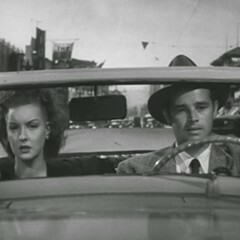 The film, he wrote "is filled as much with Chandler's smartness (about Los Angeles county, its roads, its lush playgrounds; the looks and manners of high cops and low underworld yeggs; intimate views about gangsters that castrate them, make them weaker but more lovable), as it is with his Adrian-izing of Dashiell Hammett. Chandler makes the mayhem, drinking and talk stylized and arty; never allows his gangsters to lose their suavity, presence of mind, grace, sartorial elegance, wit in every kind of catastrophe; and turns everyone into a sophisticate—even the man in a union suit who operates a cut-throat flophouse." All My Sons, an adaptation of Arthur Miller's play, isn't really a noir film, but its inclusion in the festival points out certain similarities between Miller's writing and pulp fiction. The revelations of Sons all point to hypocrisy and selfishness lying beneath the all-American family—as well the sort of cheap cynicism one finds in your average Chandler knock-off. Sons is also good where Miller was always good, showcasing the author's above-average dialogue and his sensitivity to family dynamics. The film stars Edward G. Robinson as a munitions factory owner who made his partner take the rap for a shipment of bad airplane parts that resulted in the deaths of 21 pilots. Burt Lancaster, also impressive, plays his idealistic son, who breaks down when he discovers the bitter truth. The film certainly looks noirish with its moody shadows, though the style doesn't really jive with Miller's writing, which seems too closely tied to the Lancaster character's idealism. 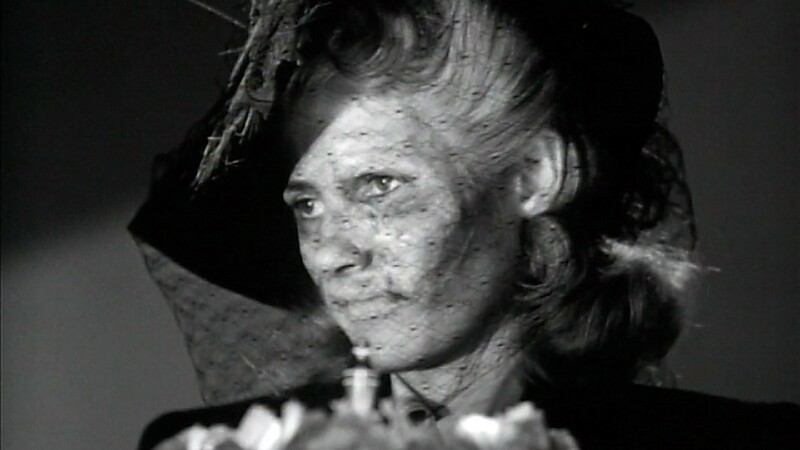 Cinematographer John Alton may be the auteur of The Spiritualist (1949) and The People Against O'Hara (1951), which were directed by the largely forgotten Bernard Vorhaus and John Sturges, respectively. Alton collaborated with Anthony Mann on some of his noirs and graduated from B movies to A movies around the same time he did. 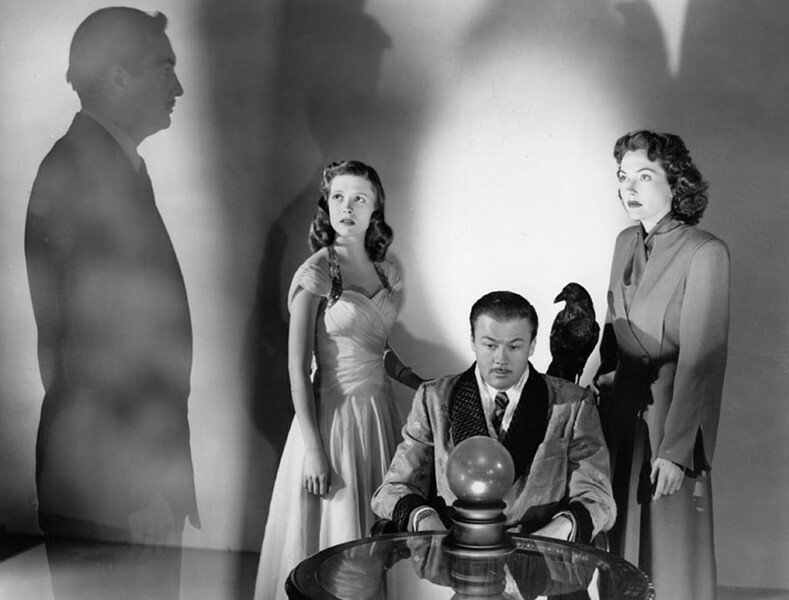 The B-level Spiritualist (also known as The Amazing Mr. X) is an especially good showcase for Alton's work—the film is all atmosphere, which is to say the story isn't very memorable. It involves a con man who preys on a pair of wealthy sisters by claiming he can see the future, and Alton conjures up a mood of tawdry mystery with his fun chiaroscuro effects. His work on the movie, which is distinctly noirish, makes one realize how important technicians were in developing the genre. Noir City: Chicago 2018. Fri 8/17-Thu 8/23, showtimes vary, Music Box Theatre, 3733 N. Southport, 773-871-6604, musicboxtheatre.com, $85 festival pass, $12 opening night, $11 single feature, $15 double feature.